Pink squat lobster (Lauriea siagiani) on sponge (phylum Porifera). 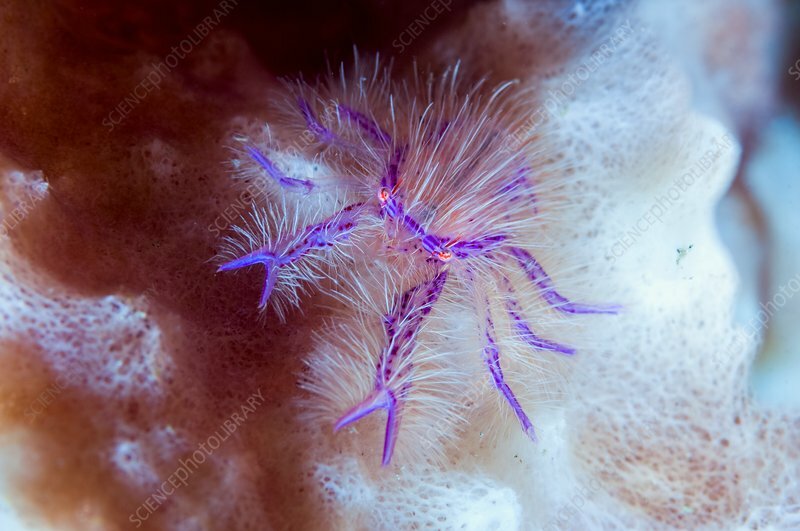 This squat lobster is commonly found around sponges in Indonesia, the Philippines and Japan. Photographed in the Lembeh Strait, North Sulawesi, Indonesia.